Most people could use a little help boosting their cyber security, which is why police in Osaka have turned to a true virtual hero to get the job done. 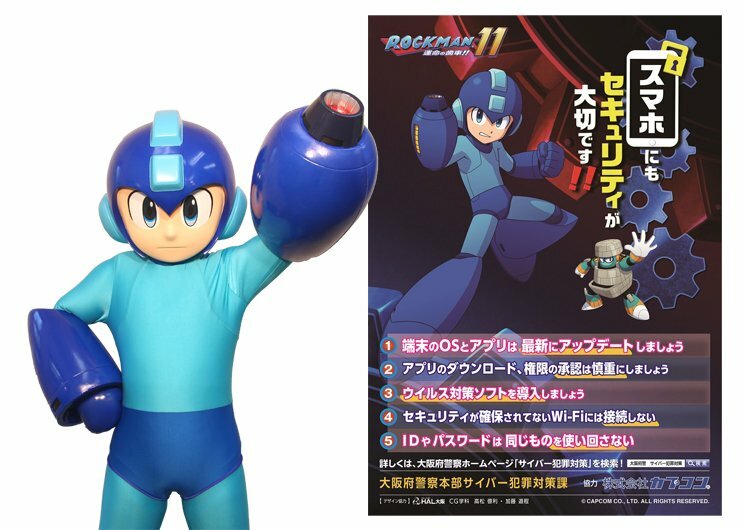 After all, who better to raise awareness and help prevent cyber crimes in Japan than Rockman, AKA Mega Man, the Blue Bomber himself. As shared via Rockman Unity on Twitter, the Osaka Police set up Mega Man as the face of cyber security awareness and awarded Capcom’s classic character a letter of appreciation for his services. Now, can we please do the same outside of Japan? Mega Man should be used to spread the word about cyber crime prevention all over the globe!